While stumbling on many forums and blogs, I found that many users are facing this issue. Actually, this is not a big issue, rather they are following the wrong method to install Bitdefender. I would recommend you to check my full tutorial about Installing Bitdefender 2016 Offline. When can you get this error? 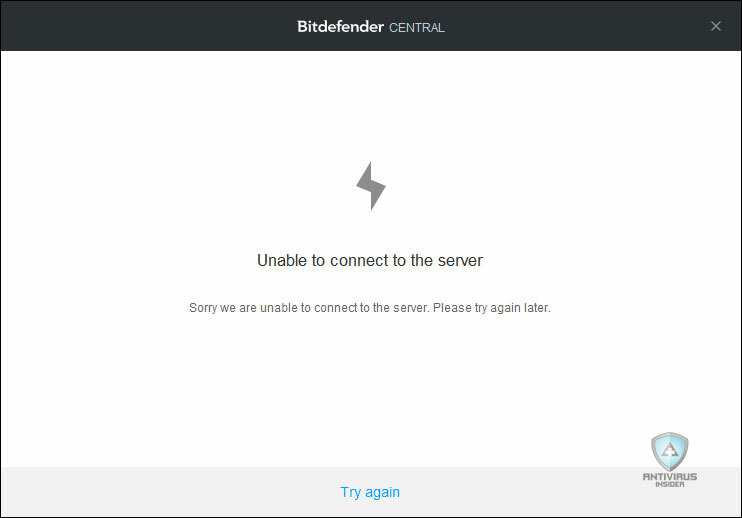 If you have downloaded Bitdefender offline setup file and tried to install it directly, you will get this error. Simple option to is to download the Bitdefender Agent and install it. Another option (If you haven’t downloaded and extracted above zip) is to create an account on Bitdefender Central and download that agent. Navigate to http://central.bitdefender.com, and if you don’t have an account then sign up and get your account created. On the left side of your screen, you can see “My devices”, just click on it. Now in my devices panel you will see Install Bitdefender, select that option. Now click on the download button in order to download the Bitdefender installation agent. Please note that above Bitdefender method is a second way to get Bitdefender Agent. You don’t need to follow it since I already uploaded the Agent above. You will see a progress screen: Just close it. Because we don’t want to download the whole setup online again. After closing above window you will get this error window. In some cases you may get this window directly without that above progress window. In both the cases you just have to close it. It will complete the installation of Bitdefender Agent. Now quickly check in Programs Files folder if you have successfully installed the Bitdefender Agent. Now you are done with install. You can now install your Offline setup file of Bitdefender. Again reminding to check out full tutorial on installing Bitdefender 2016 offline. Brilliant Thanks so much dude! Editor Staff recently posted…Can Kaspersky Antivirus Program Slow Your Computer? It’s normal. Just press okay or close that window and you will already have the program installed. Thanks Bro. You make my work so easy. I cannot disinstall it! it’s a virus?